many people love the warmth that hardwood floors bring to any room. The hardwood floor is a fantastic option for those who want to add a more charming aura to their home. Wood flooring is available in an array of different types from familiar and homely mahogany to exotic and striking Brazilian cherry. When you choose hardwood flooring in your Tampa home, you need to be aware that it’s an option that needs to be taken care of, but when you care for it and maintain it, the hardwood will be pronounced, beautiful, and bold for years to come. Hardwood flooring is a perfect option for those who like a unique, classic look in their home. Available in a variety of colors, stains, and grain styles, wood flooring is a wonderful option when you are looking for a traditional and sophisticated ambiance. Made to last for many years, hardwood flooring adds value to any property, while providing a return on your flooring investment, making it a wise decision. By choosing hardwood flooring for your Tampa home, you’ll have a floor that will hold up for several decades if you care for it the proper way. Getting a hardwood flooring installation will add character to your home that might not be obtained with options such as carpeting. What you can expect when you choose hardwood flooring is a unique surface no matter what type of wood you pick, character to add some personality to your home, as well as a design that acts as a backdrop to really pull the room together. Additionally, wood flooring will add a natural look to your home that will make it individually yours. There are two types of wood: soft and hard. Softwood flooring are elements that are taken from an array of trees. Commonly, pine, cedar, and fir are species that are more targeted toward softwoods. These species are much more liable to mature quickly, so they grow more rapidly and have much more of an abundance of material to use for flooring. The wood isn’t dense nor is it durable, so it can be more susceptible to dents and scratches; however it’s a beautiful, individualized look that will create character in your home. Additionally, keep in mind with softwoods that it is harder to finish. Softwoods are also eco-friendly and are renewable. Hardwood flooring is from trees that are much more slower to grow. The materials used for hardwood are harvested from trees that are much more dense and durable. This means that you don’t have to worry about any dents or scratches happening easily. Hardwood flooring also doesn’t need as much maintenance as the softwood. Hardwood flooring will also last longer and there are more exotic species offered under hardwood in comparison to softwood. Hardwood is a great option if you aren’t prone to cleaning a lot and want to take advantage of more exotic looking wood. When it comes to picking hardwood flooring in your home you want to make sure that it’s the best choice possible. If you’re renovating your entire house or just one room, then it’s important that you take these considerations into account when picking hardwood. For example, there are some rooms where hardwood flooring wouldn’t be the best suggestion such as the bathroom or a laundry room. If wood becomes wet, then they can become damaged. It might not happen the first few times or even if there’s a few spills in the bathroom, but if there’s a leak or a lot of moisture – which can happen because of condensation – then your flooring can become permanently damaged and warped. Rooms that will be beautiful with hardwood flooring are living rooms, dining rooms, bedrooms, libraries, studies, offices, and dens. These rooms are best to have wood floors in because they will add an old world feel to each room while also staying in the best shape because even though it can’t stand up to water it can handle heavy traffic. 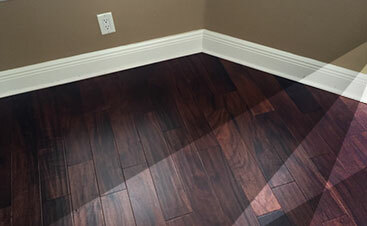 As your premier flooring installation professionals, 2 Day Flooring is proud to offer you a variety of hardwood floor installation options to meet your needs. Working closely with you through the entire design and installation process, our team of hardwood flooring experts makes sure that your experience is enjoyable and stress-free. Understanding the process in its entirety, we take your room layout, the environment of which we are working in, and type of wood into consideration, paying attention to the smallest of details. Backed by more than 10 years of experience, you can trust us to not only provide you with superior products, but to correctly install the wood flooring of your choice, guaranteeing years of beauty and functionality. At 2 Day Flooring, your floors are our priority and we stop at nothing to ensure your complete satisfaction. Focusing on your needs, our personalized customer service is designed to make choosing and hardwood floor installation easy. If you are ready to transform that ambiance of your home, contact us today by filling out the information below. For your free in-home estimate on the hardwood style of your choice, get in touch with one of our floor specialists today. 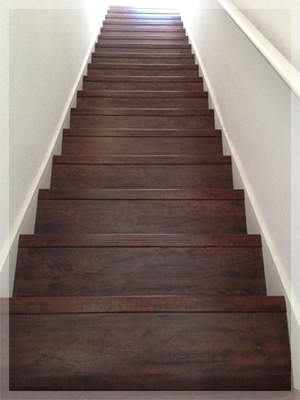 As we’ve established above, hardwood flooring is very versatile. When you decide you want wood flooring, you need to figure out if you want softwood or hardwood. Additionally, you want to figure out what type of flooring looks the best in your home. To add into figuring out what the best option is for you, we detailed some considerations to keep in mind when you come to 2 Day Flooring to renovate the flooring in your home. 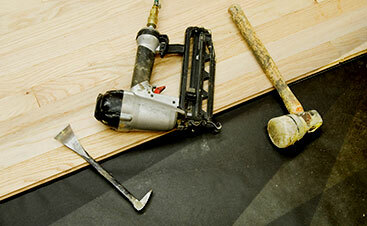 There are many factors you should consider when renovating your flooring in your Tampa home. Whether you’re renovating the flooring in one room or your entire house, it’s important that you take every aspect into consideration because hardwood flooring lasts for a very long time. What’s great about picking hardwood flooring is that it never goes out of style. Even though the styles may change or the designs might become a bit more trendy, hardwood flooring is prominently used in places all over the world and throughout history. It’s a material that is ageless, old worldly, and offers the feeling of a forest in your home. One of the considerations you should keep in mind when choosing your wood flooring is the type of wood you want to use in your home. There are many unique types of flooring. Each board, strip, or plant that is used in your home is a true piece of art. It’s like a snowflake in the sense that it’s an individual, natural object of art. 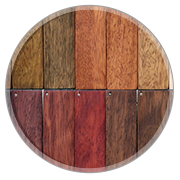 Each plank, strip, or board comes in individual colors and patterns. 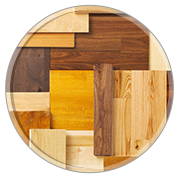 Additionally, you can pick the wood you want to use based on the different species you want to use in your wood flooring. You can use species that are domestic, exotic, imported, or more common. Additionally, you can pick the grain type you want for your flooring, the color, or the characteristics to make your home stand out. By choosing the types of wood flooring you want, you’ll make your home individualized and trendy for years to come. Unique types of wood come in an abundance of different styles. At 2 Day Flooring, we’re able to offer you an abundance of different styles you might want for your home. It’s important when you pick the style of your flooring, to ensure it looks good with the rest of your home and it doesn’t detract from the rest of the room. Additionally, you want to pick a style that will look for years to come. Some of the styles you can have are parquet, plank, or strip flooring. You can get these three styles in species, width, or colors depending on what meets your idea of what you want for your home. Strip flooring creates an effect in the room that is linear and is more of a traditional wood option. Plank flooring is more of a casual option that is similar to strip flooring by greater than three inches in width. Lastly, parquet flooring is more of a unique option because it can be nonlinear, geometric, complex, or it can even have a more simple appearance. Furthermore, keep in mind that the styles vary in size. Patterns for your wood flooring can vary from simple to more complex. You can go with straighter patterns that are more classic and are much more contemporary. The straight pattern is also pretty straightforward and a relatively less expensive option. You can also try the random pattern for designs that are parallel and mix up different widths to make it a little more progressive. You can pick how narrow you want the boards as well as the width, so you can have more of a customized look. Additionally, this is more of a rustic option that adds a certain energy to your home. You can also try the diagonal pattern one that adds some luxury and is a step away from the more classic look. Keep in mind installing the diagonal designs is laid about 45 degrees from the angle of the wall. The colors for hardwood flooring can be lighter or darker. Picking the right color for your wood flooring is essential, especially depending on the room you want to renovate. If you pick darker colors, then make sure it goes with the color scheme in the room. When you pick a lighter color, then it’ll add more vibrancy to your home. The lighter options for wood flooring are more distressed wide planks, reclaimed pine the color of beige, and red oak to name a few of the colors you can expect when you go the lighter direction. When it comes to darker colors for your hardwood flooring, colors such as maple plank, ebonized hardwood, and reclaimed wood are tones that are great to add some depth and sleekness to your home. 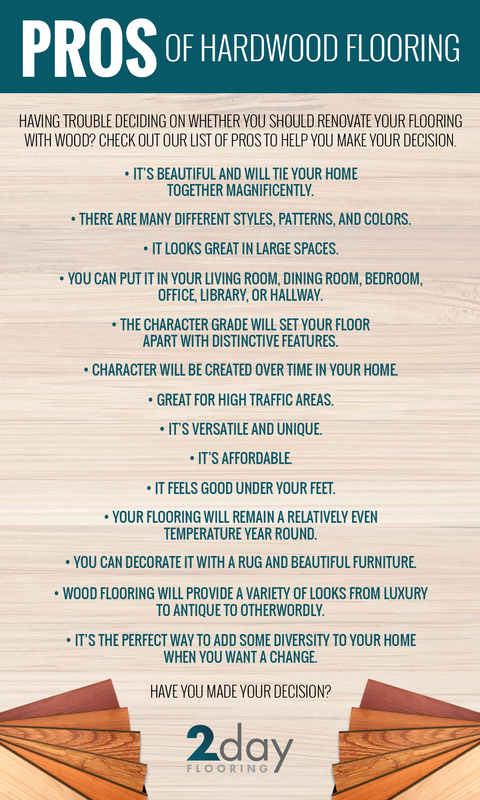 When you’re shopping for hardwood flooring, make sure that you consider the character of what it will turn into. Character occurs in wood flooring and it happens over time. It’s not something that can be purchased or created on purpose, but it’s produced from what you do and how you treat your floor. It is the change of the wood flooring as it is walked over and the tones of it are created over a period of years. Character occurs in all types of wood flooring. It just depends on what type of character you’re looking to have in your home. For example, darker woods are going to have a different character than lighter ones. The little dents, nicks, scratches, and the changes of the color, all become a blend of personality in your home. The character of your flooring is determined by the unique changes of it across the surface. You could experience lighter tones or you could have little scratches that create a personality that’s unique to your home. Character can make the floor more flattering, change the appearance of it, or make it look much more like a lived-in residence. Creating character for your flooring can only be attained by years of use, so you should keep that in mind when you begin to pick out the flooring species for the rooms in your house. Character is something to consider because as much as you want to fall in love with the decor of your home, you should be aware that over time it will change. You can always take the time to ask us about the character of the wood species to know what you should expect to see happen over a period of years to your flooring. In addition to considering the character of your floor, you should also keep in mind the kind of character grade you’d like when you choose a type of wooden species for your Tampa home. Character grade flooring is the look of your flooring and not the quality of it. Character grade helps you to determine how you want your flooring to look and not how sturdy or durable it is – although these are important factors too. Figuring out the type of character grade you want in your home is one of the key components to shopping for wooden floors. In addition to understanding that the species, installation types, pre-or unfinished woods, styles, colors, and the construction type, character grade flooring will help you figure out what exactly you’re looking to do to the rooms – or the room – in your house. After all, you want to make the right decision when it comes to choosing the wooden flooring for your home. 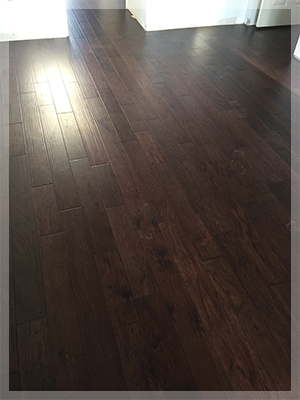 Character grade is broken up into prefinished and unfinished hardwood flooring products and then those are broken down. When it comes to prefinished hardwood floors, you can expect types such as cabin grade, clear grade, shorts, and select and better. 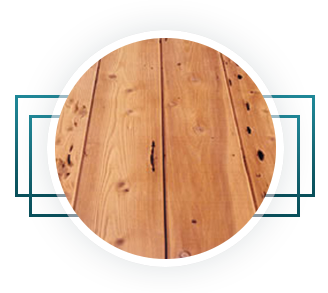 When it comes to unfinished hardwood flooring, you can expect kinds such as country and exclusive grades, traditional, antique, and character grade, as well as tavern grade. Cabin Grade: If you love the look of a cabin, then this type of grade is perfect. With a rough-hewn and unfilled knot holes, this look is very authentic and dedicated to nature. This type of grade is for a much more authentic and homey look. It is also available in unfinished. 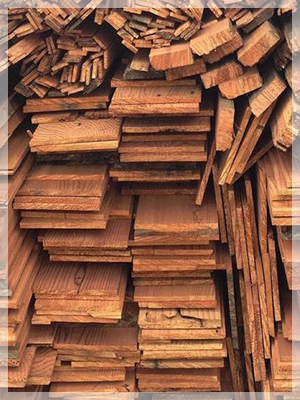 Clear Grade: This type of wood is best because of the color variations, the length of the boards, and the slightly visible wooden indentations such as pinholes or knots. This option is preferred because there are not a lot of variations. Clear grade also comes in unfinished as well. Shorts: The Short is the most visible when it comes to wooden characteristics such as knot holes, pinholes, and color variations. If you want a truly wooden look, then Shorts are the best option for your home. Select And Better: The prefinished version is slightly different than the Clear grade, but it has a more uniform coloring. This type is preferred by those who enjoy Clear grade, but like the opportunity for more of a specific coloring. This option is also offered in the unfinished. Country And Exclusive Grades: Who doesn’t love the look of the country? This type of grade is an unfinished one and has color variations, visible knotholes, shorter boards, as well as greater variations. This grade is perfect for those who like the feel of the country and versatility. Traditional, Antique, And Character Grade: If you love creaky old houses and authentic decorating, then this option is a fantastic one for your home. 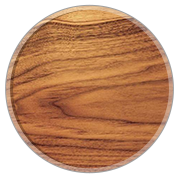 The boards come in dark and light with more natural tones and more visibility of characteristics of the wood such as the pinholes and the knot holes. Tavern Grade: Lastly, Tavern grade, also known as Cabin grade, is the unfinished option for those who enjoy some natural decor in their home. This option has the most variations when it comes to knot holes, pinholes, and color tones. It’s perfect for those who want to bring back a feel of the woods in their house. 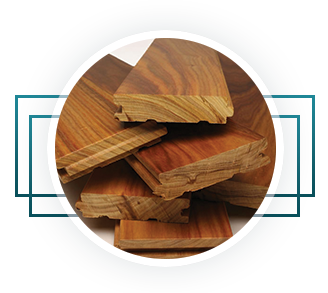 These are just a few of the types of wooden grades you can expect when you come to 2 Day Flooring. If you have any questions about the type of grade you’re interested in, then don’t hesitate to contact us. We know all of the key components that go into picking hardwood flooring for your home, which is why we can lend a hand when you come down to our store to figure out what would look best in your home. When you decide to pick wood flooring for your home, make sure that you pick it for open spaces that are on the larger side. Hardwood floors are perfect for rooms that have wide open spaces because of the patterns and the grain of wood that are on the surface. Wood flooring breaks up the monotony of the room. It acts as a good background to the room that has subtle designs and interests due to the varying colors of brown and the styles in the wood. Regardless of the style of wood you choose, 2 Day Flooring will be able to guide you in the right direction for making sure everything aligns with the room you are renovating. Now that you know the basics about hardwood flooring, it’s time to start thinking about what rooms would look best with this flooring option. Picking the flooring for your room or your home is one of the best parts of a renovation because you’ve done all the necessary research and now it’s time to design your home. We mentioned above that large spaces are the most conducive to wood floors, but what about the rooms that will look the best with them? We laid out some of the rooms that would look best with wood flooring. If you need a second opinion, then you can always rely on our flooring experts for his or her advice. The living room is one of the best places to have wood flooring because it’s a wide open space that will add some hominess to the room. Since you live in Tampa, it seldom becomes cold in your home; however, if you want to add more of a snuggly element, then a carpet is the right way to go. Additionally, if you want to pull your room together purchasing a carpet and placing it in the middle of the room with the matching decor will pull the living room together nicely. A living room should be a cozy place to hang out in the evenings, on the weekends, and during an early morning as you get ready for your day. With wood flooring, you can create a room that is luxurious, historic, as well as eco-friendly or you can go for comfort and warmth. Hardwood flooring in your bedroom is one of the newest trends right now because it adds a different element to your room. You’ll add a cozy element as well as an antique vibe. By pairing a furry, plush carpet in your bedroom, you won’t have to worry about that cool feeling that captures your feet first thing in the morning when you get out of bed. What fits well in a bedroom with wood flooring is carpet made from silk and wool or alpaca rugs to add some luxury to your bedroom. Additionally, if you match your dresser, bedside tables, and television stand with your flooring, you’ll have a bedroom that will be cozy and otherworldly. Hallways are some of the best places to put wood flooring because it is a high-traffic area while still allowing you to be trendy in your home. Instead of putting carpet in your high traffic area hallway and creating a little path where people constantly walk, wood flooring will allow you to have some creative fun with your corridors. Hallways generally aren’t the most fashionable, but with creative inlays, trendy patterns, and luxuriously toned wood styles, you’ll be able to spice up your hallways with some decor and a beautiful floor. Lastly, the dining room is a perfect place to put wood flooring. Imagine holding a dinner party and having a dark mahogany table with a beautifully red oak or reclaimed pine floor. Match that with some fine china, delicious food, decor that lights up your living room, and comfortable chairs, and you will create an intimate environment. Doesn’t that sound like the picture perfect way to end a week? In addition to the rooms listed above that you can incorporate wood flooring in, you can also put hard or soft wood flooring in a variety of rooms that are high traffic. High traffic rooms are areas people walk through frequently. This means they walk through them periodically such as hallways. They hang out in them such as dining rooms or living rooms or they enter through them such as the entryways. Wood flooring is the best option for these areas because as high traffic rooms, you want a sturdy type of flooring. For your entryway, you’ll want wood flooring that isn’t easily destroyed. While it’s true that wood can dent and become damaged, when you apply a finish or you purchase wood flooring with a finish, you won’t have to worry about the flooring becoming defaced. The finish for a hardwood floor provides the necessary protection to keep it in great shape. While we don’t recommend that you test this by dragging your heels across it or stomping on it, the finish on any wood flooring makes the wood rock hard so it’s protected. Additionally, depending on if you get solid hardwood or softwood and you choose a type of wood that’s strong and on the hardness rating scale, then it will be even more durable and resilient. When you choose the wood flooring for your high traffic areas, you should make sure that the type you pick is on the hardness rating scale. You may think that hardwood flooring can go anywhere after we laid out a variety of spaces and rooms it would look great in; however, you should be aware that there are some rooms to avoid putting hardwood flooring in. For example, the kitchen can be a great place to have hardwood floors, but if you hate cleaning, then you may want to try out laminate wood flooring. We recommend laminate wood flooring in the kitchen instead of hardwood because while you prepare meals you can drop food particles or spill beverages, which can end up on the floor and damage the hardwood. Kitchen floors tend to become sticky easily and you’ll need to wash the hardwood flooring consistently. Another room to avoid putting hardwood flooring in is the bathroom. The bathroom shouldn’t have wood or carpet flooring because of the moisture of hot showers as well as stepping out of the shower or any leaks that can occur. The moisture will warp the hardwood flooring and can cause irreparable damage. Lastly, avoid putting hardwood flooring in laundry rooms. You may notice that there’s a theme here when it comes to moisture and hardwood flooring. If you want to keep your hardwood flooring in good shape, then stay away from rooms that can become wet such as the above listed rooms. You may think that hardwood flooring is difficult to clean because it doesn’t mix well with moisture, but in fact, the lack of using moisture makes cleaning easier. Regularly maintaining your hardwood floors is simple. All you need is a soft bristle broom or a dry microfiber mop for dusting. There’s no water included when you maintain your hardwood flooring, which makes it all the easier to clean. All you need is something to sweep up debris, dust, and other particles. You can even use a vacuum if you turn the beater bar off to pick up all of the dust from the flooring planks. Remember, if you have any questions or concerns about what would look best in your Tampa home, then don’t hesitate to fill out a form and we’ll reach out to you as soon as possible. What Types Of Flooring Are Best For The Bathroom?